Most people like me love travelling, outing, picnic, hiking, etc from one place to another. But traveling at new places sometimes becomes very difficult especially when you are not aware of the routes and roads maps. You might check your route on Google maps to navigate easily from one place to another before starting your journey. Many people prefer to avoid routes with tolls and highways. Who likes to pay extra bucks out of their pocket? I also do this just to avoid toll and save something. Some people don't have problem with toll expense because their time is much precious than the toll expense. While driving through new cities you might encounter a Toll just because you were not aware of the routes. But thanks to Google Maps, that they have done such a great work on road navigation system online that we can easily detect roads with tolls. 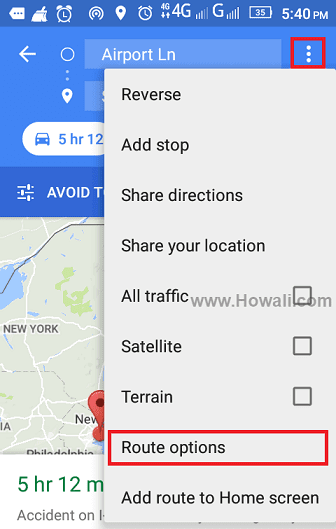 Today I will show you how to avoid tolls roads, highways and ferries in Google Maps. But before that let me tell you that this post is going to get updated in future based on latest technological updates as you also know technology never remains the same. So don’t forget to subscribe to my email list and bookmark this post for future reference. 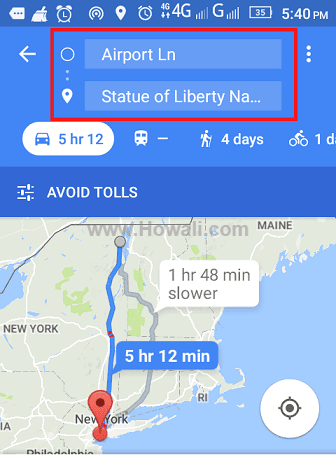 How to Avoid Toll Roads in Google Maps? You need an iPhone or Android smart phone with Google Maps installed on it. 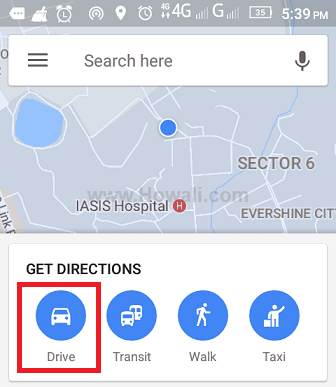 You can also download offline Google maps for the route which you wish to travel and use it in your journey without wasting your precious bandwidth, using a data connection or a Wi-Fi connection. 1. 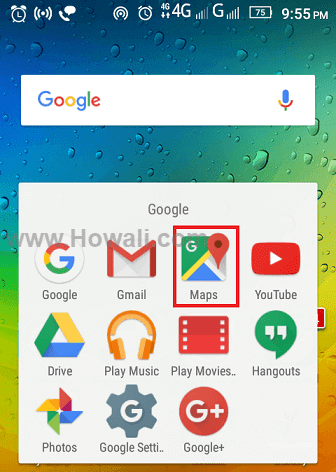 First you have to launch Google Maps on your smartphone as shown in the image below. 2. In the next window, under Get Direction, tap on Drive icon with car as shown below in the image. 3. Now you have to enter your route in the From and To option you are planning to travel. Refer image given below for more details. 4. Once you have entered the From and To route you wish to travel, tap on the three-dot icon as shown below in the image on the top right hand side. Also learn how to change language in Google Chrome Android. You will get a menu like the one as shown above, simply tap on Route options and follow step 6. 5. 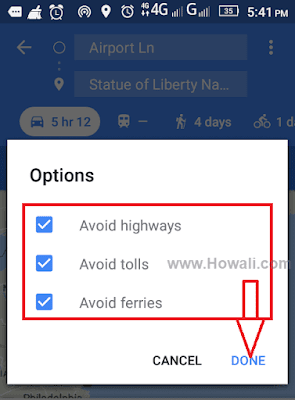 You will get Options menu with options to avoid highways, tolls and ferries. 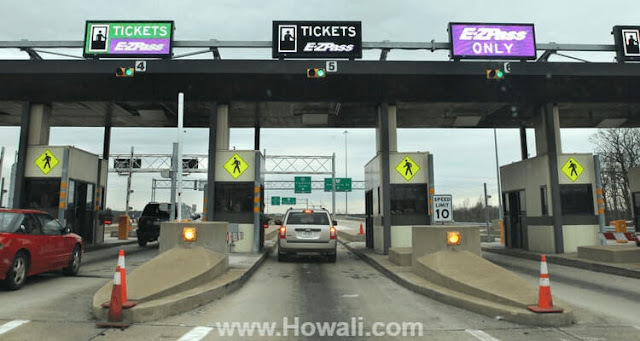 Check the box next to Avoid tolls, if you just want to avoid toll, nothing else. If you also want to avoid highways and ferries then you can do it as per your wish. Once you are done with it, finally click Done. Now you can see in the below image that Google Maps is showing the route which doesn't have, tolls, highways and ferries. You can do it as per your wish whichever option you want to avoid. So these were the methods involved to avoid Toll roads on Google Maps. Do let me know through comments how this post has helped you. 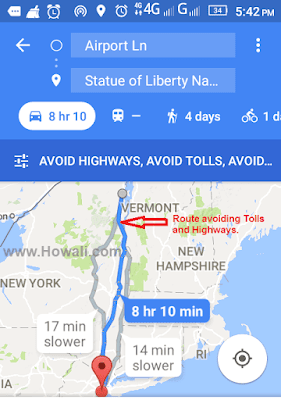 So here I have explained in a simple way how you can avoid toll roads on Google Maps. Do let me know through comments if you are still finding any issues. Don't forget to subscribe to my email list to get useful tips of this blog in your Email. If this post has helped you, do give us a Facebook like below. You can also share this post with your friends through social network buttons given below and help them in learning this.